Rent 60 Inch Round Tables For Parties & Events In Phoenix, Arizona. Delivery Or Pickup Available. 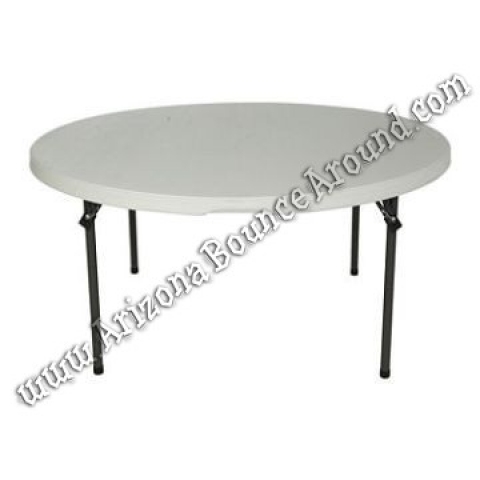 Arizona Bounce Around rents round tables perfect for banquets, weddings, company presentations, and more. Seat up to 8 people at 1 table. Don't forget to check out our extra wide white chairs to go with your table rental.